Are you carrying? Are they? Job Outlook for Students like us! A great example of information design! The perfect identity system for Saks Fifth Avenue! Sitting in Lab 321 is Killing You! twenty things worth knowing about beer. Look at this: HEY JUDE Informational Design for fun. PRINTERS… and other things that ought to stop being lame. How long do animal live? 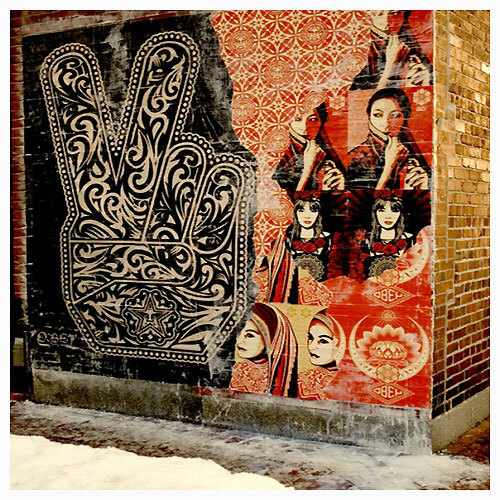 Shepard Fairey, well known for his “Hope” poster of Barack Obama, however before this he was more popularly known for his graffiti style art usually shown illegally on building and signs. While in school he created the the sticker campagin “Andre the giant has a posse.” This campaign evenually lead to the start of the “Obey Giant” campaign, which was created to question the masses about the world around them through street art. This evenually made way to a successful design & marketing company. His designs and slogans often appear on t-shirts sold at stores such as Urban Outfitters while creating logos for athletes such as Kobe Bryant and rock-music album covers. I find his story to be rather interesting. 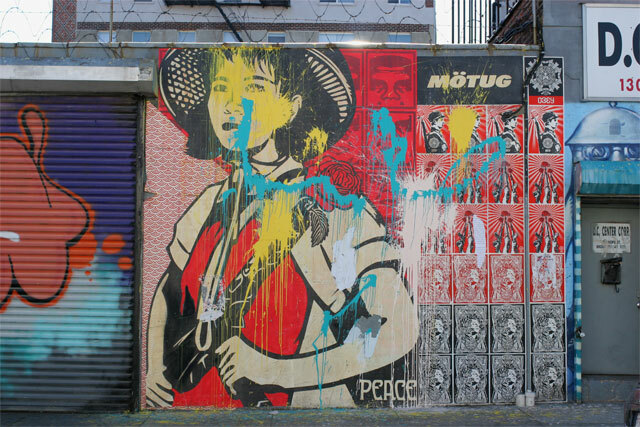 From starting with graffiti art while using different mediums, materials and messages and he came to put it all together in a different way through marketing and design while making people think about the message.